Bob McCulloch brings 22 years direct experience in the people and money management field as a licensed Investment Counselor and Manager for high net worth clientele in Ottawa and the surrounding areas. 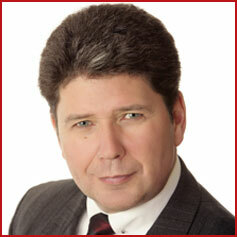 Moreover, he has 8 years as a successful sales representative for Royal LePage Performance Realty. Bob is married with two grown children. His activities and interests are hockey (coaching), politics and reading.